Mount Sanqingshan is a sacred mountain located 25 miles (40 km) north of Yushan County in Jiangxi Province, China. Sanqing means the “The Three Pure Ones” in Chinese as Mount Sanqing is made up of three main summits: Yujing, Yushui, and Yuhua, representing the Taoist trinity. Mount Sanqing contains about 1000 species of flora and 800 types of fauna.The spectacular look is surrounded by mists on granite rocks, creating a breathtaking scenic. 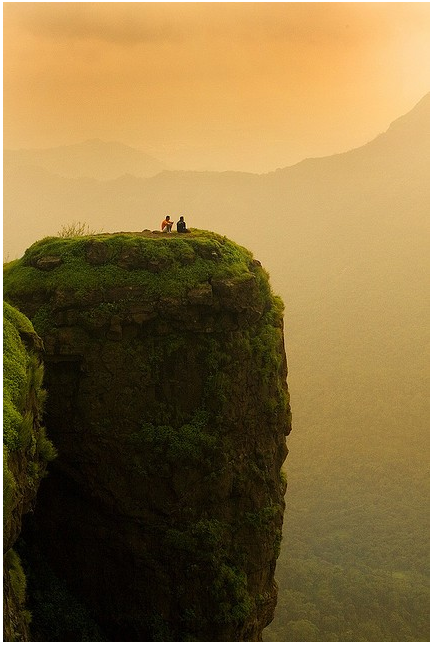 Matheran is a Hill Station and a municipal council in the Raigad district in the Indian state of Maharashtra. 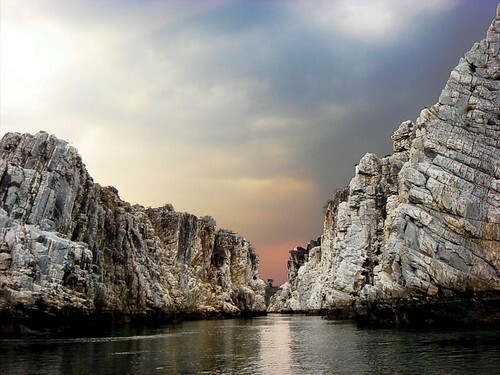 Located in Central India, the soft marble has been carved by the river. Pamukkale, meaning "cotton castle" in Turkish, is a natural site in Denizli Province in southwestern Turkey. The city contains hot springs and terraces of carbonate minerals left by the flowing water. When the water, supersaturated with calcium carbonate, reaches the surface, carbon dioxide degasses from it, and calcium carbonate is deposited. The depositing continues until the carbon dioxide in the water balances the carbon dioxide in the air. The underground volcanic activity which causes the hot springs also forced carbon dioxide into a cave, which was called the Plutonium meaning place of the god, Pluto. This cave was used for religious purposes by priests of Cybele, who found ways to appear immune to the suffocating gas. Located in Turkeminstan, in the heart of Middle Asia. In 1971 Soviet experts ordered drilling in the cavern filled with loads of natural gas. Aware of the possibility of poisoning, the government decided to burn it. It never stopped burning since then and today it offers a spectacular view, especially at night. People can’t stay there more than five minutes because of the gases.